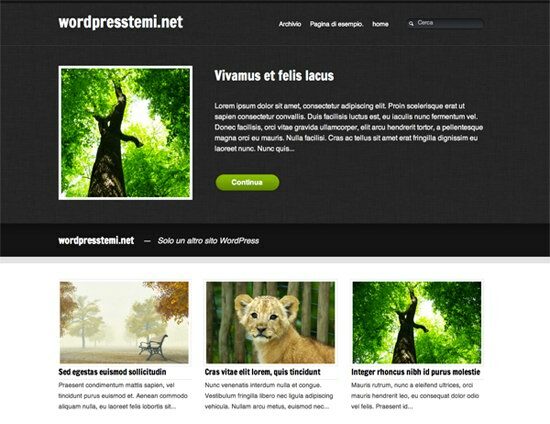 Looking for some high quality, professional free WordPress themes? 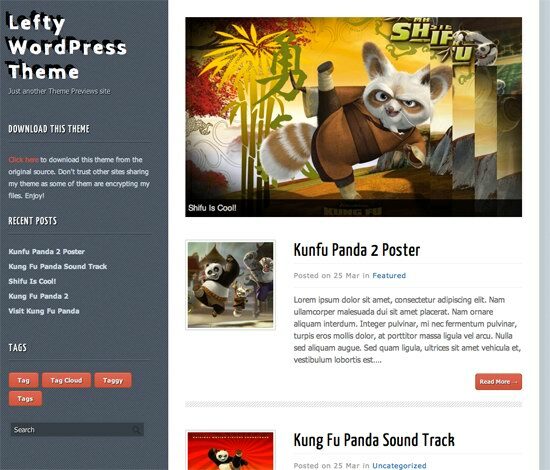 OK, I have listed the latest new WordPress themes, all of these wp themes are FREE. 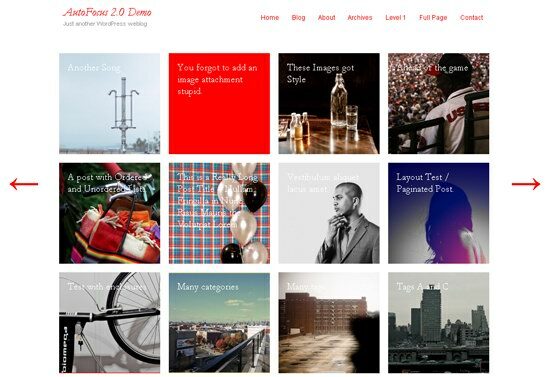 Including free magazine WordPress themes, free business WordPress themes, free blog WordPress themes, free photo gallery WordPress themes, free portfolio WordPress themes, choose your favorite theme here. 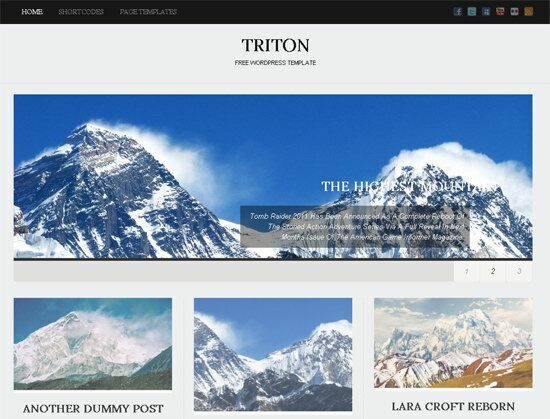 Triton Lite is a self-proclaimed ‘All In One’ design that features a beautiful home page slider, shortcodes for styling content and 3 built in widget areas. A portfolio design with a difference, Shuttershot shows photos in full screen in the background of the design. Even when a visitor views a blog page or page the background continues to change. A unique idea that has thankully been implemented well. A beautiful vintage design that uses Google fonts. 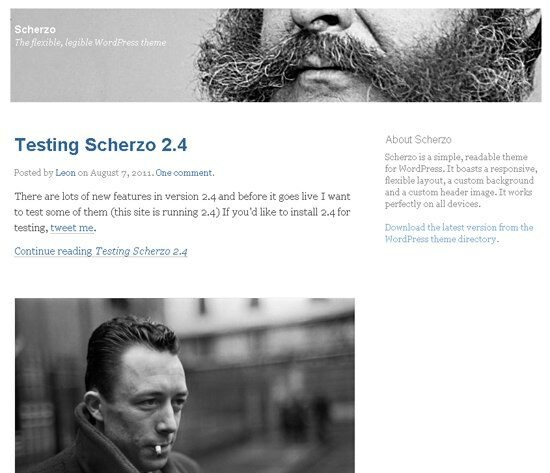 A clean minimal blogging design that was created using the NattyWP framework. A simplistic portfolio design that features a large homepage slider and a useful portfolio template page. 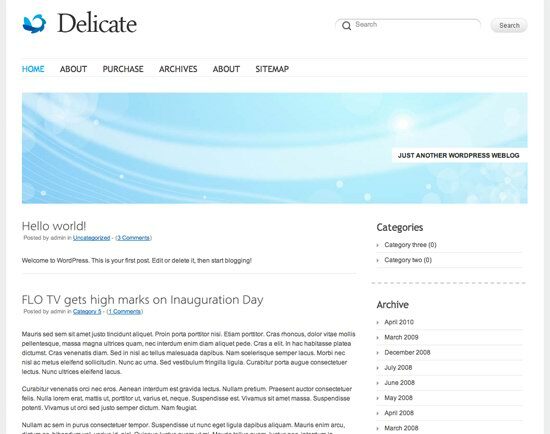 A business design which places featured articles on the home page. 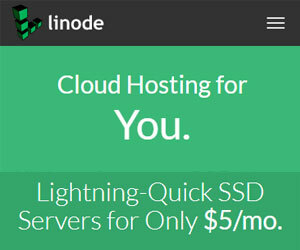 The theme could easily be used for a blog as well. 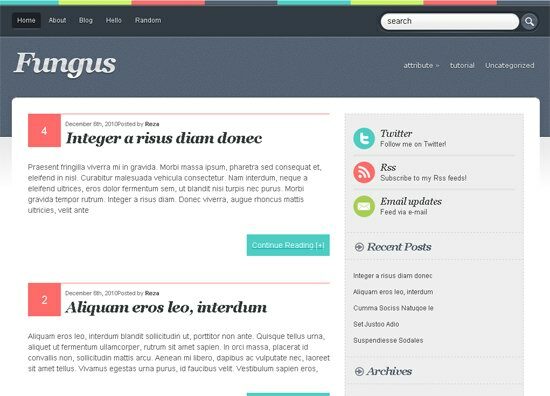 A Colourful blogging design that has social media links integrated in the sidebar and support for post image thumbnails. Designed for photographers, AutoFocus lite is a simple HTML5 powered design that has a grid design and clean typography. 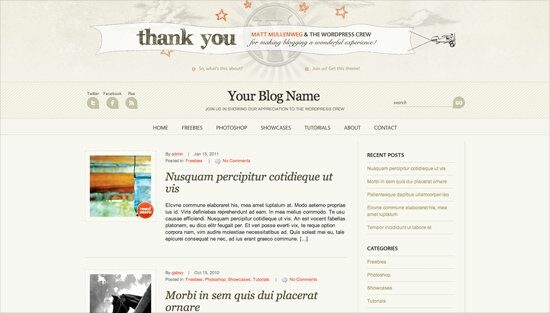 Released at the beginning of 2011 by Matt Mullenweg and ‘The WordPress Crew’, the anniversary theme has a traditional blog structure with a prominent header image. A simply minimal design that would be suitable for a blog or a portfolio. Includes an advanced option panel, 8 different colour schemes and social media integration. Designed for artists and photographers, Fotofolio Landscape automatically resizes uploaded images to fit the surrounding area and includes a useful slideshow option. A clean minimal design that is suitable for photo blogs. 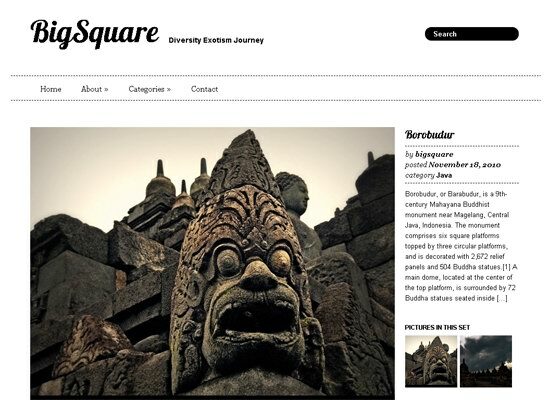 Perfect for travel blogs, personal blogs, portfolios and photography websites. This is an extremely simple, clean and to the point theme. It has two widgetized footer areas to handle navigation or anything else you feel like sticking in there. 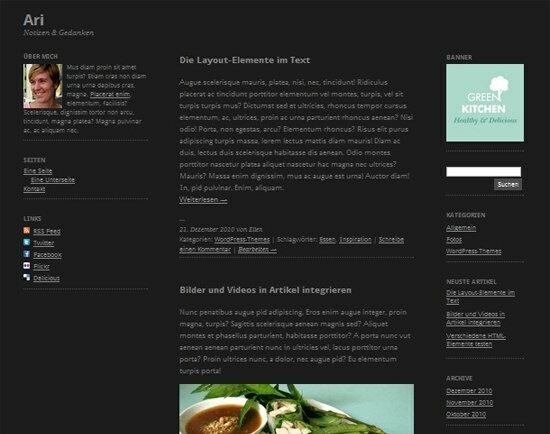 A beautiful 3 column blogging theme that comes in a light and dark version. 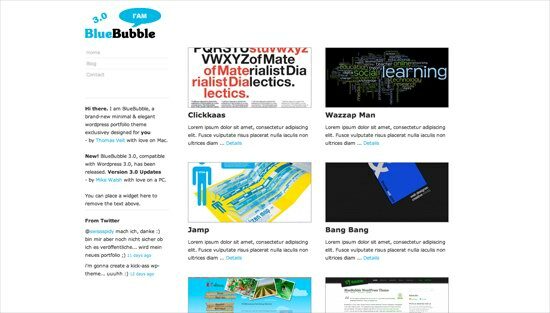 It uses Google fonts and has great social media integration. 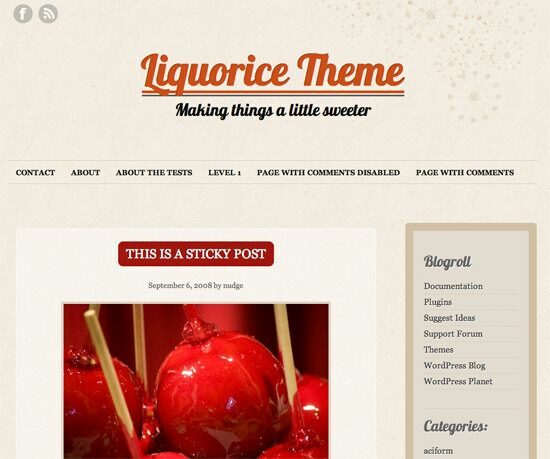 A colourful blogging theme that supports custom widgets. It includes custom widgets for social media services and comes in 4 colour schemes (blue, black, pink, orange). 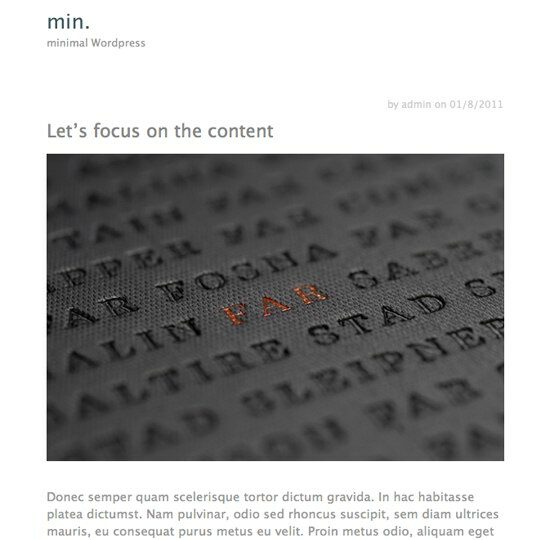 A minimal blogging design that was created for WordPress 3.0+. It supports post thumbnails and includes built in pagination and an author information box on blog pages. A multimedia friendly design that would be suitable for a blog, news website or online magazine. A simple yet elegant WordPress theme that was created specifically for wedding related websites. 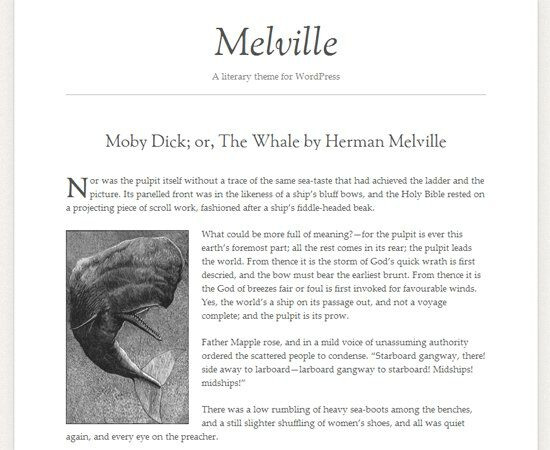 Inspired by classic literature, Melville is a clean minimal theme that has beautiful typography. 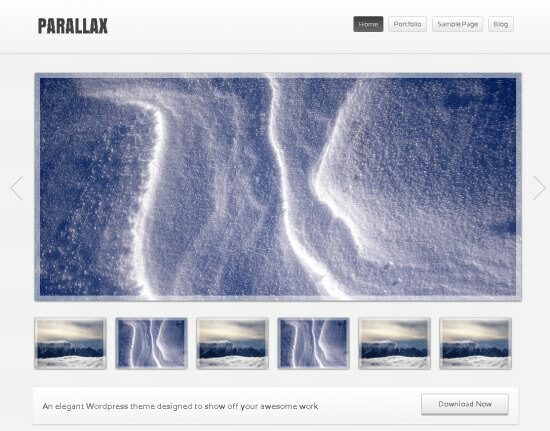 A fantastic looking minimal theme that has a beautiful image slider on the home page. 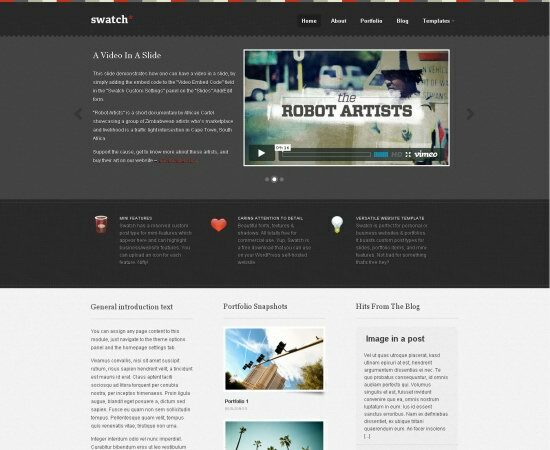 This feature rich theme is perfect for blogs, portfolios or video websites. 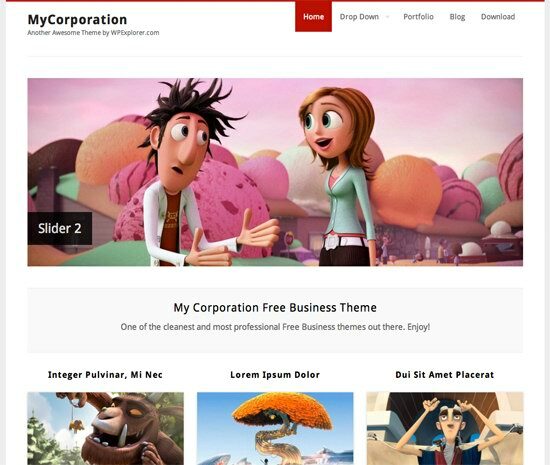 A business theme that features a home page slider, custom post types and custom fonts. 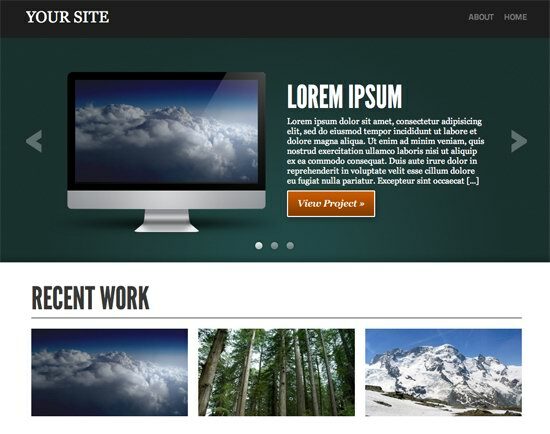 Featuring post image thumbnail support, social media integration and a beautiful home page slider. 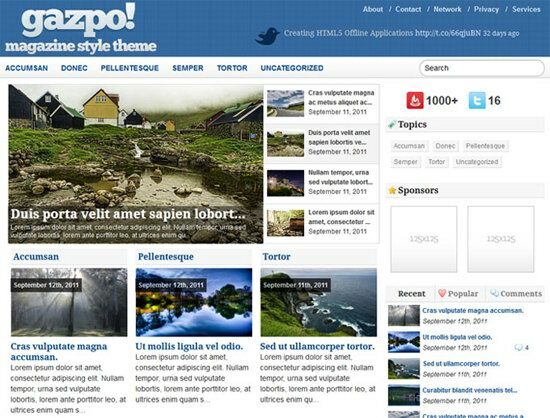 GazpoMag is a great option for an online magazine. A fun blogging design that doesn’t take itself too seriously. The home page has a featured post image slider and you can use custom fonts using Google fonts. 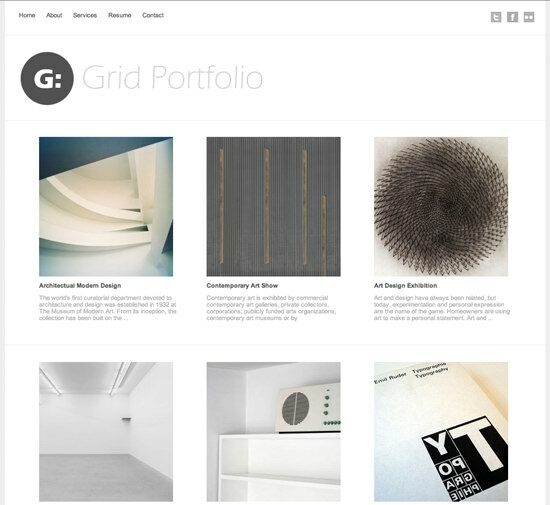 A fantastic fast loading minimal design that uses a 4 column grid layout to display posts. Perfect for a portfolio or blog. 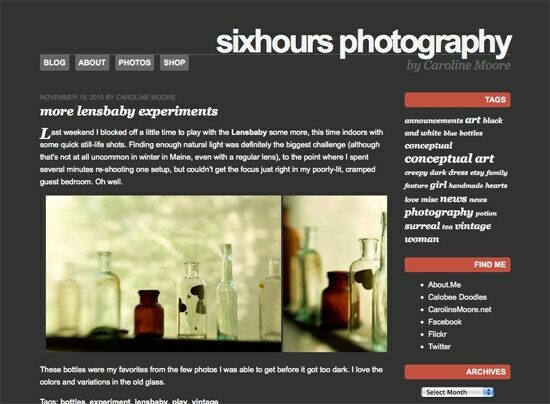 A great looking minimal blogging theme from Caroline Moore. 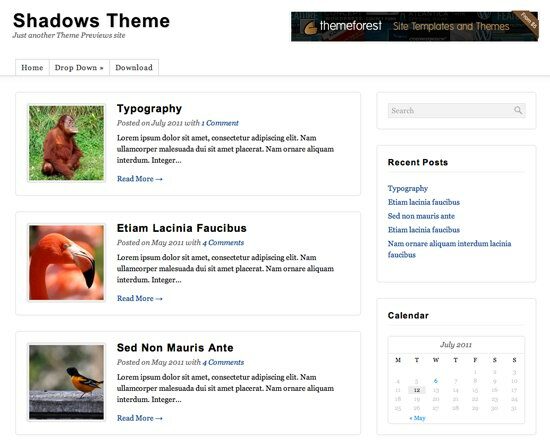 A clean blogging theme that was built using the UpThemes Theme Framework. 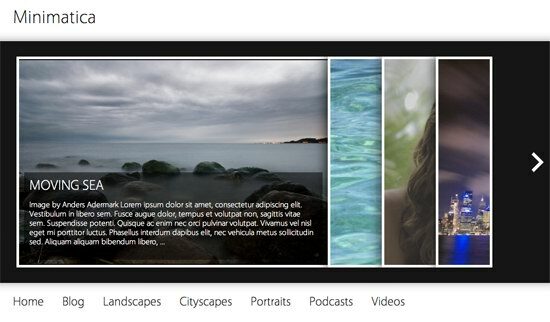 It includes social media integration in the header and a featured post slider on the home page. 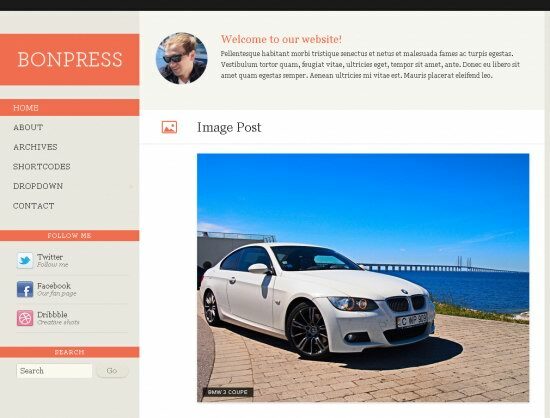 A clean design from DevPress that could be used for a blog, news or magazine website. 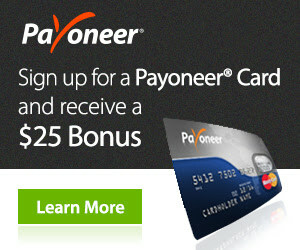 The home page has a beautiful featured slider for showcasing your important articles or videos. 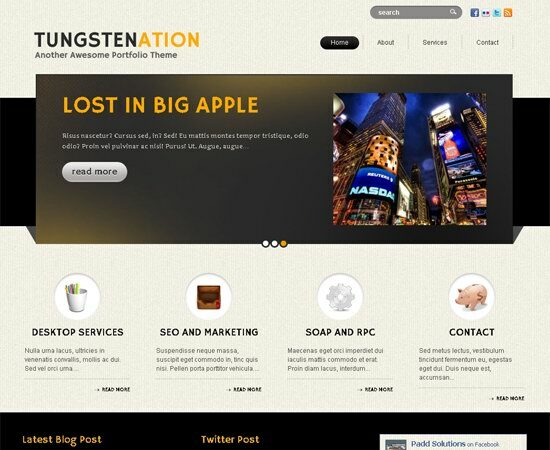 A free business and portfolio design that was developed to celebrate the release of the 100th theme from WooThemes. 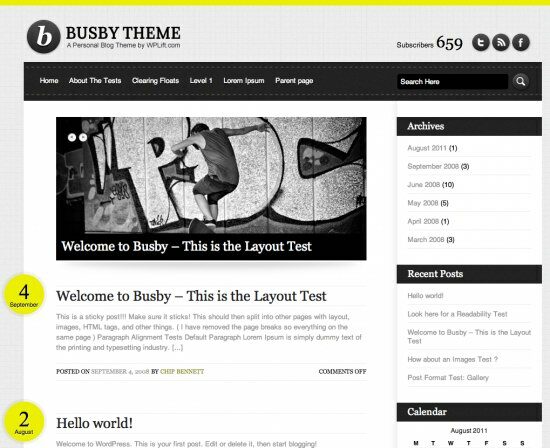 Features a custom homepage, featured slider, custom widgets, custom typography and multiple colour schemes. 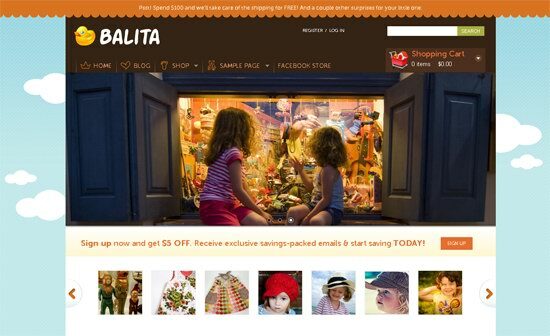 A brand new eCommerce designed for Smashing Magazine that was created to help sell children’s toys and related products. It was designed using HTML5 and CSS3 and features a beautiful home page slider, custom shopping cart and Facebook integration. 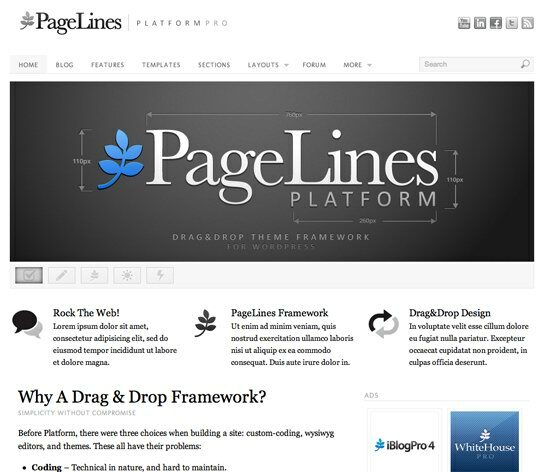 Designed in HTML5, Platform is a drag and drop framework that makes creating your ideal site a breeze. 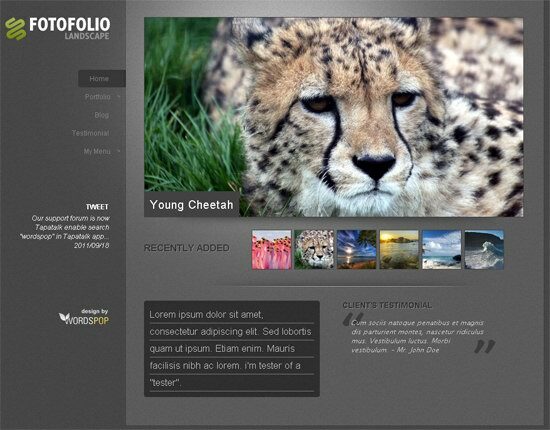 Another theme that was designed using HTML5, Portfolio Press is a good option for a simple portfolio blog. A beautiful minimal theme that was designed for illustrators, photographers and graphic designers. 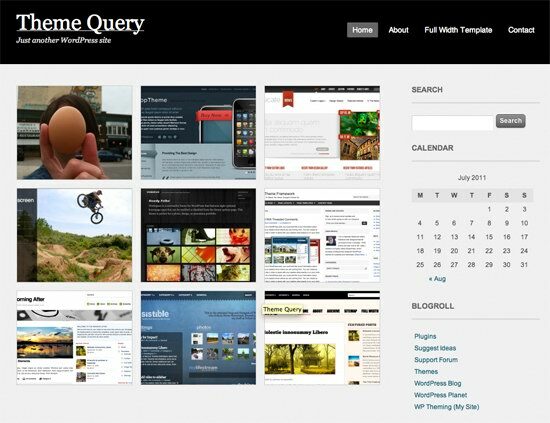 There are several custom home page layouts to choose from with most displaying posts in a grid layout. A simple, clean and minimal design which features a widget ready sidebar, custom header image and custom background. 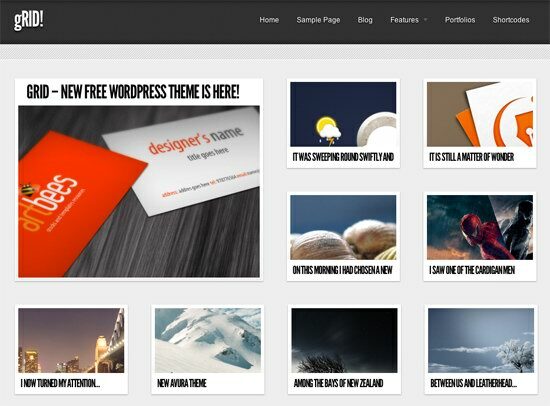 Have you find your favorite free WordPress themes? 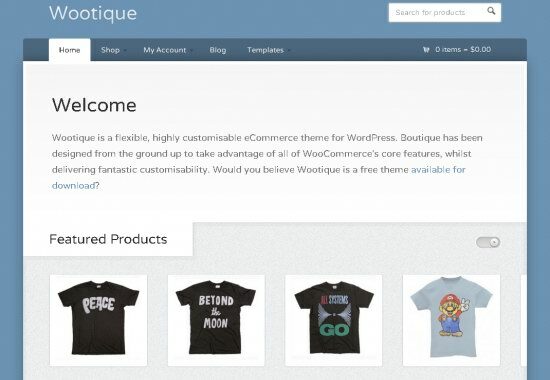 We will add more new free wordpress themes in the near future.